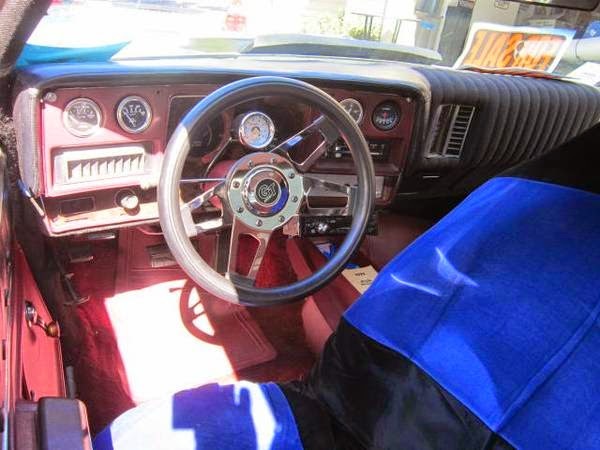 With the 1973 release of the third generation Chevrolet Chevelle, GM paid homage to yet another Southern California beach town, the highest trim was designated the Laguna. 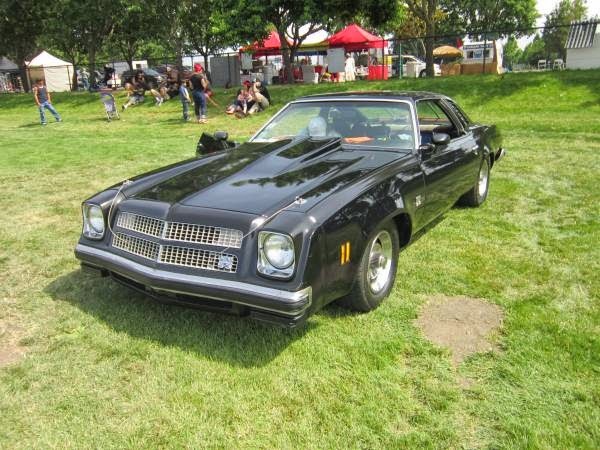 At the time Malibu and Laguna Beach were small surfer towns void of the legions of botox'd buxom babes more commonly associated with the names today, but that didn't stop GM from making a version with plastic bolt-on front bits called the Laguna S-3 from '74 through '76. 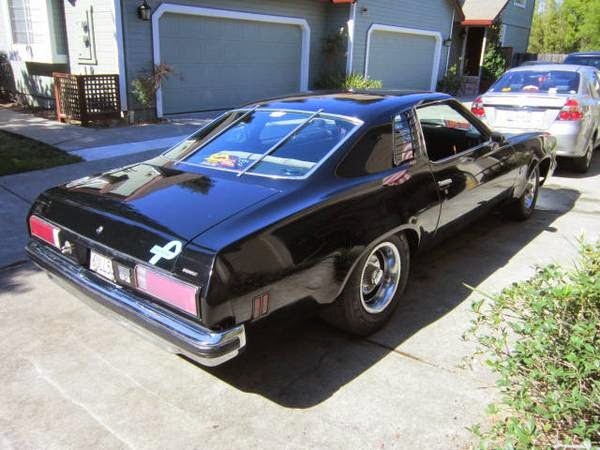 Find this 1975 Chevrolet Chevelle Laguna S-3 offered for $7,500 in Santa Rosa, CA via craigslist. Tip from Kaibeezy. The S-3 name was introduced on the Chevelle as Chevrolet phased out the SS (Super Sport) name in the early 1970s. Not sure what the final S stood for, but the word stylish comes to mind as the S-3 added a urethane front nose, swiveling front bucket seats, and a number of big V8s to chose from. This Laguna S-3 is powered by a 400 cubic inch V8 which would have been rated for a smog friendly 150 or 180 horsepower (depending on 2bbl or 4bbl carb), but this one has been given a number of baby seal unfriendly upgrades, including higher compression heads, high lift camshaft, and should be good for something above 300 horsepower. I can't imagine a time when those funky swiveling seats ever seemed like a good idea to any automotive engineer/car designer/salesman. It isn't like getting out of a car has been such a burden that a better solution involves banging your head on the door jam. The passenger swivel seat could be useful if you are doing drive-by shootings with your amputee buddy, but I just can't imagine what those future Cobalt ignition switch designers were thinking. Perhaps the 3rd S is swivel? Super Sport Swivel? 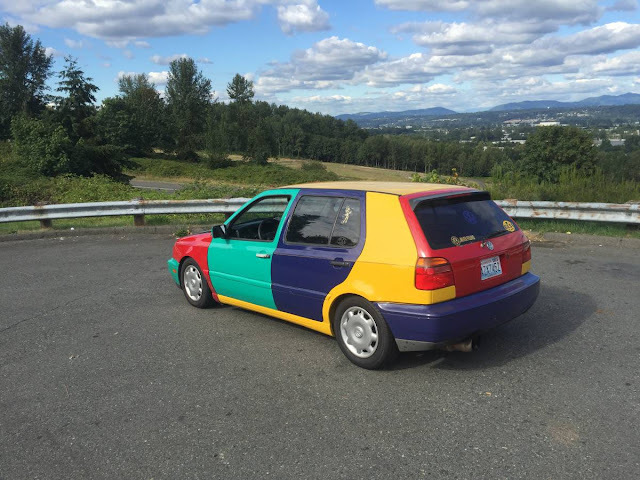 Neat car. In the final year (1976), there were 9,100 sold, the base MSRP was $4,622 and it weighed nearly two tons. A few were built in Canada. A forgotten classic that will most likely never be worth much. I've read that the "S" stood for "Sport", but have never seen proof from the factory of that. I like the Pontiac Can Am better. What a beautiful car. Many of the Malaise Era beasts are shockingly beautiful, and unfamiliar enough to be interesting. The fact that it isn't too easy to "fix" with an engine swap or other work makes it even more tempting. A low cost interesting ride is hard to beat. I owned a 75 Chevelle back in the early 80's. I also had a 70' SS 396. The early Chevelle's were nicer, but I had fun with the 75 also. The wheezy emissions choked 305 V8 felt more like a V6. The doors were heavy and long and they had some of the worst interiors in terms of quality, with the cheap velour and plastic chrome. The rest of the car was good though and a solid platform. I remember seeing these Laguna's on the roads in the 80's and people saying they were rare and going to skyrocket in value, lol. It's a nice forgotten classic. There wasn't much to get excited about with American cars in 1976, this was about as good as it got.. I wish I had the hair to grow a mullet and blast some skynyrd in this thing with a cool buzz. It has a pretty badass vibe to it. The swivel makes it easy to get into the backseat which would otherwise be almost impossible as the seats are hardback and don't tilt forward..
Jaguar XJS, WRX STI, Chevy SS, Bluebird SSS-R, and now this Laguna S-3. Well, I have an Audi 5000S ! I have a 1975 Laguna S3...white with the oxblood racing stripe, red interior. My dad left it to me when he passed away.